Francis Lui Yiu Tung (pictured in a file photo), vice-chairman of Galaxy Entertainment Group Ltd, says the Macau casino operator still believes its plan for a casino resort on Boracay in the Philippines could be realised, despite stated opposition from the country’s leader, President Rodrigo Duterte. Speaking on Wednesday during a company press conference in Hong Kong, called following publication of the group’s second quarter 2018 results, Mr Lui said that, despite the possibility there had been “misunderstanding” or “miscommunication” on the matter, Galaxy Entertainment “shares the same vision” as Mr Duterte when it comes to protecting Boracay’s environment. Andrea Domingo, head of the Philippine casino regulator, the Philippine Amusement and Gaming Corp (Pagcor), said last weekend in an interview with Bloomberg that Galaxy Entertainment’s plan for Boracay would not go ahead. “There was a pronouncement from the President so we have to respect that,” said additionally Pagcor president Alfredo Lim, as quoted by the financial news agency. “We do not know yet what will happen when Boracay opens, maybe the President will change his mind. As of now, the Galaxy project will not proceed,” Mr Lim added. Galaxy Entertainment is hoping for a change of mind, said Mr Lui during Wednesday’s conference. “I hope that we would be able to work with our local partners to explain to the Philippine authorities that their vision is the same as ours,” the executive stated. The national government in Manila has vowed to develop Boracay as a sustainable and family-focused tourism destination. Mr Lui emphasised that Galaxy Entertainment’s project for the island would be “an environment-friendly resort” with 200 villas and “only 50 to 60 gaming tables,” compared to more than 6,000 tables the company runs in Macau. The investment would be proportionate, he said, at between US$300 million and US$500 million. Pagcor’s Ms Domingo told Bloomberg last week that it would be easier for Galaxy Entertainment and its proposed local partner, Leisure and Resorts World Corp, to pick another island for a scheme. “Since they [the investors] already have a provisional licence, and they will just relocate, I don’t think they’ll have a difficult time,” the Pagcor boss said. Galaxy Entertainment said however it would prefer to be in Boracay. “Boracay is unique. To find another beautiful island with an international airport, close to China and Macau; there aren’t any, so I still prefer Boracay,” said Mr Lui in his Wednesday comments. Galaxy Entertainment has pushed back the launch date for the first portion of Phase 3 for its flagship Cotai casino resort, Galaxy Macau. That will now open in 2020 rather than 2019 as previously suggested, said Mr Lui in other remarks. Phase 4 is to be in operation in 2021. Galaxy Entertainment’s current Macau gaming rights are due to expire in 2022. 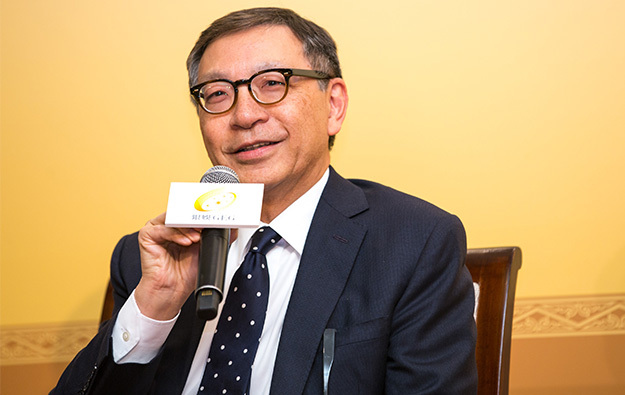 The vice-chairman stressed that there has been however no change to the overall budget for Galaxy Macau Phases 3 and 4, with an expected investment of “no less than HKD45 billion [US$5.7 billion]”. The operator has said Phase 3 would feature 1,500 hotel rooms, some casino space, and a large-scale arena that could hold 16,000 seats. The group has since applied to register as trademarks the names “Galaxy Arena Macau” and “Galaxy International Convention Center”. In Wednesday’s conference, Galaxy Entertainment management noted that Phase 3 would have 400,000 square feet of space for meetings, incentives, conferences and exhibitions, a business segment commonly referred to in the industry as “MICE”. Phase 4 of Galaxy Macau has been flagged as having a non-gaming focus, and would supply approximately 3,000 hotel rooms. Regarding its ambitions for a Japan casino licence, Mr Lui revealed on Wednesday that – in addition to the likely involvement of European gaming and hospitality company Société des Bains de Mer et du Cercle des Étrangers à Monaco (SBM) – it is also looking for a Japanese partner. “We hope to be able to team up with the best company in Japan” for such a venture, said Mr Lui. “We want to find what the local customers want, so we can do our best to meet their expectations,” he added. Mr Lui neither disclosed the names of any potential partners nor revealed Galaxy Entertainment’s preferred location. “Different cities have different requirements. We want to liaise with them and know what they need,” he explained. The executive hinted however at the potential of Osaka, stressing that the city would host the 2025 World Expo. Meanwhile on the sidelines of Wednesday’s press conference, Galaxy Entertainment’s chief financial officer Robert Drake told GGRAsia that the company was anticipating the Macau government would “disclose some insight into the process” for the expected new bidding round regarding Macau gaming rights “towards the end of the year”. The current six permits expire in either 2022, or 2020 in the case of SJM Holdings Ltd and MGM China Holdings Ltd.
Analysts have predicted that current operators would get a short-term extension – up to five additional years is allowed under current Macau law – to give the government more time to prepare. Asked by GGRAsia about this possibility, Francis Lui declined to comment but did note that the current concession contracts included that five-year extension option for the government.